2 How many bananas per day? Wonderfully sweet with creamy flesh, bananas are definitely tasty. The question is, "Are bananas good for you as well?" Well, bananas are harvested throughout the year and are amongst the most widely consumed fruits around the world. That's mainly because this curved yellow fruit is loaded with all sorts of nutrients that will help you stay fit and healthy. It means that if you're looking for a simple answer to the question, "Are bananas good for you?" it has to be, "Yes, they are". However, there are several other things you need to keep in mind when eating bananas. 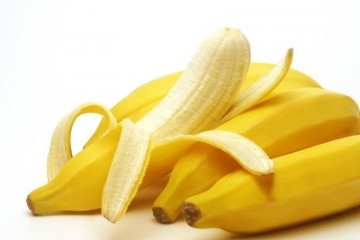 Keep reading to learn more about carbs in banana and to know how many calories in a banana. Many people think there are more carbs in banana than most other fruits, so it is a good idea to avoid eating them at all. That's not the right thing to do actually, even if you're trying to shed some pounds. Here are some good points that will answer, "Are bananas good for you?" Their high potassium content helps electricity flow throughout body and makes it possible for your heart to keep beating. Since bananas don't have high sodium content, they play a role in protecting you from hypertension and other cardiovascular diseases. Yes, there are carbs in banana, but there is fiber as well. The high fiber content of bananas makes them good for someone trying to lose weight. With a single banana, you will be able to fulfill 10% of your daily fiber requirement. It also contains vitamin B6, which plays a role in reducing weight and protecting you from type-2 diabetes. Bananas will always make you feel full, so they really help curb cravings and keep you from eating more. The sweetness in bananas will also help maintain your blood sugar levels during and after weight loss workouts. Eating bananas will also prove beneficial for your eyes because they contain vitamin A that helps maintain your normal vision and even improve your night vision a bit. You can tag bananas as great food for diarrhea treatment. They contain electrolytes like potassium, which your body needs after bouts of diarrhea. This will keep you from feeling weak and help treat your diarrhea as well. Some studies have found that you will be able to prevent kidney cancer through moderate consumption of bananas. It is obvious to feel concerned about how many calories in a banana, but there are many misconceptions regarding nutritional value of bananas. A medium banana, about 126g, is one serving, which contains 110 calories with a gram of protein and 30g of carbs. Bananas don't contain sodium, fat, or cholesterol. Bananas also contain several minerals and vitamins, including vitamin B6 (0.5mg), vitamin C(9mg), manganese (0.3mg), dietary fiber (3g), potassium (450mg), magnesium (34g), protein (1g), niacin (0.8g), riboflavin (0.1g), vitamin A (81 IU), and iron (0.3mg). Though bananas contain a large amount of potassium, it is still less than the daily recommended requirement, which is 4700mg a day. The real concern is regarding 30g of carbohydrates. You can however eat in moderation to avoid hurting your weight loss routine. How many bananas per day? Most experts are of the view that you should not eat more than two bananas a day. Even better is to eat a banana with two other varieties of fruit to get amazing health benefits. Since carbs turn into sugar when they reach your bloodstream, it is a good idea to limit your banana intake if you're diabetic. Never exceed 60g of carbs a meal. Be careful when selecting bananas. They are usually green in color when in the store, so pick them considering when you want to eat them. It will take bananas some time to ripe, and the greener they are, the longer it will take. If you plan to eat them soon, go for the ones with yellow hue or brown spots. Also, make sure the bananas are firm and bright in appearance and free from any injuries or bruises. The size of the banana has nothing to do with its quality. A diet called the Morning Banana Diet became quite popular in 2008, which involved eating a banana in the morning with water and having dinner before 8pm. There were no restrictions on what to eat in lunch. It proved quite effective for many. You can use it that way or use ripe mashed bananas in other baked goods to replace butter or oil. Similarly, using mashed bananas, when making cookies, muffins, or cakes, is a great idea as well. Peeled and frozen bananas will make your smoothies tastier. You can also add sliced bananas to your oatmeal or cereal to make a portable snack. Leave bananas at room temperature to ripen properly and avoid placing unripe bananas in your refrigerator. You can however consider wrapping them in newspaper or put them in a paper bag to hasten the ripening process. It is fine to place ripe bananas in the refrigerator, but consume them only after they come back to room temperature. You can freeze bananas and they will be usable for 2 months or so, but it is a good idea to freeze them in pureed form – add some lemon juice to it to prevent discoloration. If you're already using beta-blockers, the medications used to treat heart disease, you may avoid eating bananas. Beta-blockers will increase potassium levels in your body, and you will only be adding up to those levels by eating bananas. Be sure to consume bananas sparingly when taking beta-blockers. You may also eat bananas sparingly if your kidneys aren't fully functional because they will fail to remove excess potassium from your body. Server responsed at: 04/21/2019 11:01 a.m.